Following the release of patch 7.2, called “World of Warcraft’s biggest patch ever”, Blizzard plans to release a mini update (patch 7.2.5) and it will be headed to the PTR later this week. 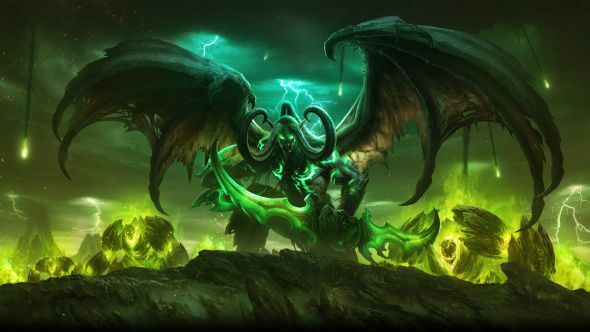 Since the launch of Legion, Blizzard has been committed to releasing more regular content updates for World of Warcraft, hoping to avoid a situation where we’re stuck with the same raid for over a year a la Hellfire Citadel. Part of their content strategy is to release smaller patches in between the large patches to keep a steady stream of content available for players to play. While patch 7.2.5 does feature some important class balancing fixes, which we’ll list below, a lot of the content focuses on “fun” events. A “time-twisting” quest revolving around Chromie. Chromie, who is also a bronze dragon masquerading as a gnome, has been featured in Legion and previous expansions pretty regularly. MMOchampion says the quest will be called “The Deaths of Chromie”, so it seems like the situation will be pretty dire. Revisit the magic of Black Temple in a special timewalking version of the raid. This is a really cool addition because in the past the majority of timewalking content has been 5 man dungeons. It’ll be interesting to see how the format works in a raid setting. A bunch of new “fun” events, including the Auction House Dance Party, a Moonkin festival, and a Transmog competition. For the transmog competition, players will enter a scenario and create an outfit based off of a specific theme. Players will vote on the best transmog and the outfit with the most votes is declared the winner. There will also be an addition of a new currency, “The Mog Coin”. Patch 7.2.5 will hit the PTR later this week and will be launched in the main game shortly afterwards. What are you guys most excited about? I know I personally am psyched about the transmog competition. While we don’t know what the Mog Coins are for, it would be cool if they were used for unique transmog rewards. We’ll have to see when the patch goes live. As Editor here at GeekReply, I'm a big fan of all things Geeky. Most of my contributions to the site are technology related, but I'm also a big fan of video games. My genres of choice include RPGs, MMOs, Grand Strategy, and Simulation. If I'm not chasing after the latest gear on my MMO of choice, I'm here at GeekReply reporting on the latest in Geek culture.